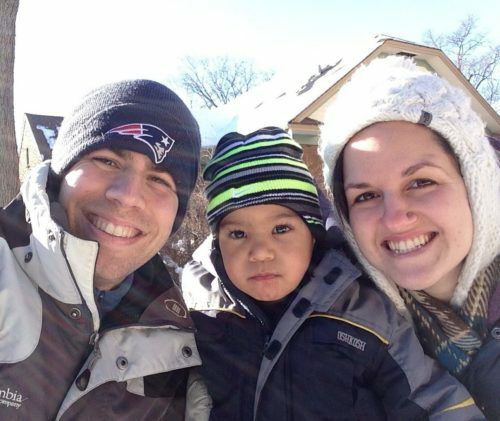 Meet Dan & Laura Newbrander who pursued a Bulgaria Adoption. They have two sons; Sam is 2.5 years and Tom is 2 months old. Sam joined their family through international adoption from Bulgaria. 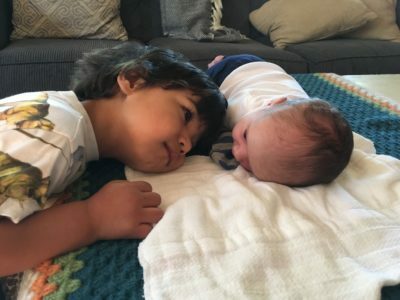 As they’ve reflected on their adoption experience, they’re filled with gratitude that they’ve been able to walk through it and bring Sam into their family. They recognize how insanely lucky and blessed they’ve been through it all on so many levels, and there truly aren’t words to describe how much gratitude they feel. Laura wanted to adopt since she was a little girl. She doesn’t know where the desire came from, it just felt like a God-given desire. From the beginning of dating Dan, it became part of what they wanted. 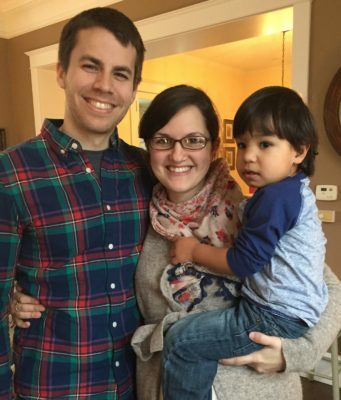 Once they were ready to start to pursue the process, about four years into their marriage, Dan had had a missions background, so international adoption felt like a natural fit. They were more excited about adopting internationally than domestically. The Newbranders felt like a Bulgaria adoption was definitely directed by the Lord. They didn’t have any emotional connection to the country, but after choosing MLJ as an adoption agency and examining the requirements of the countries, it felt like the best fit. At first the family didn’t even know where Bulgaria was, and had to look it up on a map. But, now, three years later, they have loved keeping cultural traditions from the country, and carrying them on in their family. They celebrated Baba Marta day, which is when you tie a red and white bracelet on your wrist from March 1st until the first flower blooms in anticipation of spring. Laura shared that it’s been a joy to see the way that the country of Bulgaria has shaped the make-up of their family. When they first decided to adopt internationally, they started researching agencies and interviewing them. They wanted to know how agencies led families through the adoption process, and what help the agency would provide to them. They used the information on the websites and initial calls to narrow it down to two or three agencies, and then prayed about which one would be the best fit for their family. They appreciated how transparent MLJ Adoptions was about the process, and how willing they were to answer questions, including about interactions with their in-country staff. Dan and Laura talked to reference families who had adopted from Bulgaria with MLJ Adoptions and that helped them make their decision, too. They felt peaceful and confident about their decision. After completing an adoption with MLJ, the Newbranders share that they would recommend MLJ to other families, and use them for another adoption! Laura thought that they needed to be more settled before beginning the adoption process. Looking back, she wishes they would have started their Bulgaria adoption sooner. There’s so much paperwork that is completed throughout the process, that truly one more update wouldn’t have been a big deal. On this side of the process, they know that they could have started at least a year sooner, before they were living in their permanent home. The Newbranders went into the process hoping to adopt one to three children. They found out they were pregnant with Tom two days before receiving the referral for Sam. They were originally fearful of how the pregnancy would affect they adoption, but as soon as Lydia shared that it wouldn’t they were so joyful! Laura said that the way everything worked out for their family was perfect! Dan was surprised that a Bulgaria adoption would require two trips to complete the process, but after going through it, he understands why a little bit better. The first trip was clouded by Laura’s pregnancy, but there aren’t words to describe meeting Sam. It was so, so good! They liked having some extra time during the first trip to explore the country of Bulgaria since it wasn’t a place that they were super familiar with when they started the process. On both trips, the in-country staff was helpful! Their second trip an amazing whirlwind! Even though the travel was long and exhausting, Sam was a rock star during the trip. They had started praying that they would have children in their home by Christmas. Once they were matched with Sam, the average time frames would mean that he would come home in January or February. But, they kept praying and invited their friends and family to pray with them that Sam would be home by Christmas. They landed in the United States on December 21st. Christmas 2016 will always be remembered as the Christmas when Sam joined their family! Sam is a joy to have around! He laughs big and usually has a huge smile on his face. He’s an active two year-old boy who loves books. Sam likes trying new things, and loves to touch, taste and smell everything! They’ve also loved watching Sam become a super affectionate big brother to Tom. The Newbranders have an excellent support system, even since the very beginning of the process. They are so thankful for that! Laura will never forget the look on her parents’ faces when they shared that they had been matched with a child and would be traveling to Bulgaria to meet him. Since Sam has been home, their support system continues to be the best! 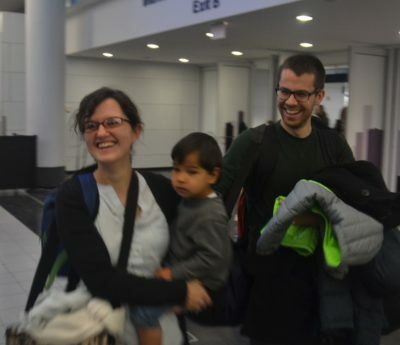 Their family steps in to babysit and travels to see them. They’ve also got two sets of great friends who have walked with them through the process, and their friends have been available whenever they’ve needed them. They are so thankful for the resources that MLJ Adoptions and Holt Sunny Ridge (their home study agency) have provided to them. MLJ has answered countless questions and provided resources specifically on attachment. The Newbranders reference The Connected Child all the time! They’re so grateful for Dr. Karyn Purvis. They have been able to connect with a ministry in the Chicagoland area called Replanted that offers conferences, including Empowered to Connect, weekend-long workshops, support groups, and offers free child-care once a month for adoptive families. 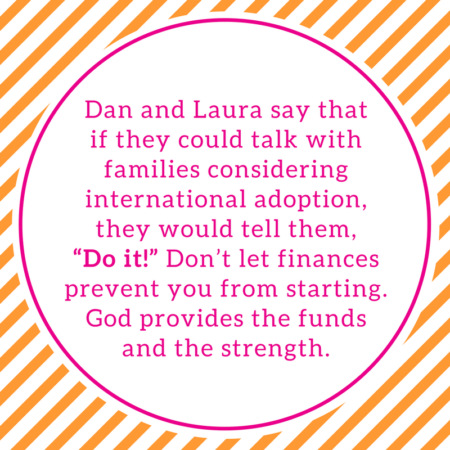 Dan and Laura say that if they could talk with families considering international adoption, they would tell them, “Do it!” Don’t let finances prevent you from starting. God provides the funds and the strength. Laura was initially afraid about how she would respond to a social worker coming into her home and nitpicking it, making suggestions about parenting, and if she would have the stamina for a long wait to be matched with a child. What she’s realized throughout the process is that God provides the strength, just like He provides the funds. If you’re interested in learning more about Bulgaria adoption, contact us!